Over the past decade, dash cameras have leapt to the forefront of aftermarket automotive electronics. Social media websites and news outlets release footage daily of on-road events recorded by dash cameras: capturing everything from accidents to road rage incidents. 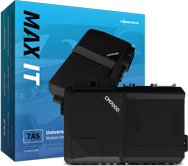 “Momento”, Firstech’s all-new brand of dash camera solutions, will consist of two camera systems upon launch: the M4 and the M5. 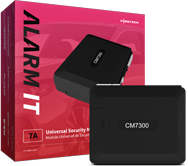 Both solutions are sold with a front and rear camera that together provide up to 270º of surveillance coverage for a vehicle. The Momento M5, the brand’s premium solution, features a full HD (1080p) front camera that utilizes a Sony Exmor-R sensor for improved low-light visibility and image stability; two necessary ingredients for seeing the details in nighttime footage. Unlike many dash cam products sold on the Internet, Momento solutions are “hardwired” to the vehicle in order to record footage even while the engine is off and the vehicle is parked. Thus, professional installation of these products is required. On www.momentocam.com, the Momento M4 MSRP is stated as “$349.99 with Installation”. 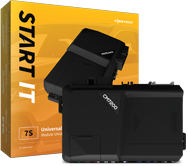 Momento dash camera solutions are available to all authorized retailers and distributors of Firstech products. To learn more about Momento, visit www.momentocam.com or contact your Firstech Sales Representative today.